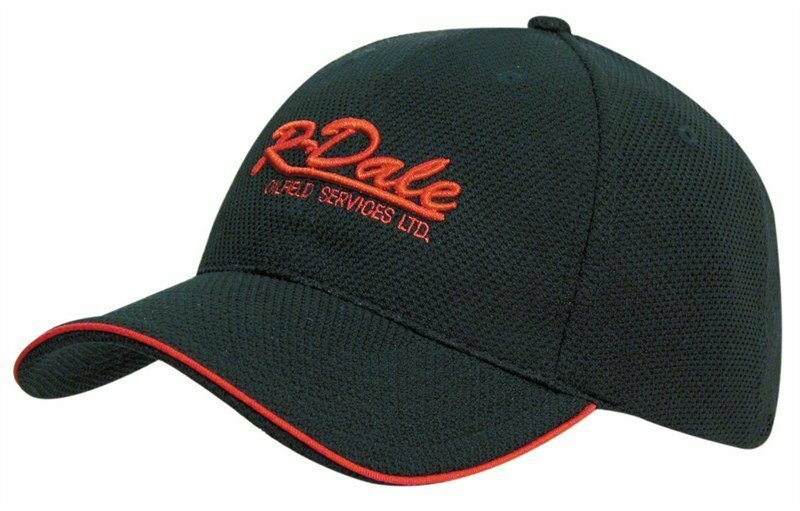 With its contrasting piping around the peak, the custom printed Pique Mesh Piped Cap is a sure fire winner. Low minimum order quantity and super low pricing. So you’re planning your next promotion. You want it to be bigger, better, and more memorable than anything else that you’ve ever done before. For that, you definitely need a special product that will deliver you just what you want. You don’t have to look far as we have exactly what you need. 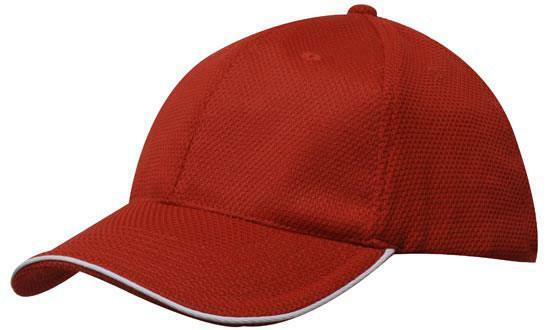 We bring you the customisable Open Sandwich Double Pique Mesh Cap. It’s a specially designed product that’s guaranteed to leave a huge impact on your next promotion. The promotional Open Sandwich Double Pique Mesh Cap is made to impress. Looking at it from a far distance, it’s already boasting with attitude. When viewed up close, you’ll definitely appreciate it’s superior craftsmanship. It features the popular six-panel structured design and a low profile pre-curved peak. To highlight the peak, we’ve put a contrast colour piping on the peak’s edge for added appeal. Now that translates to style! 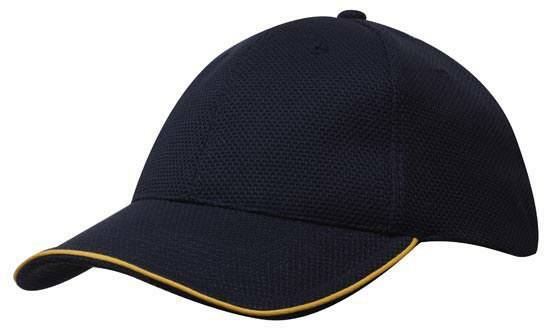 At the back is a short touch strap which means that anyone can comfortably wear the branded Open Sandwich Double Pique Mesh Cap by simply adjusting it according to their own fit. The budget priced Open Sandwich Double Pique Mesh Cap comes in six colour combinations – Black/Red, Black/White, Navy/Gold, Navy/White, Red/White, and Royal/White. With that wide range of fantastic colours, all you have to do is make your very own custom design. 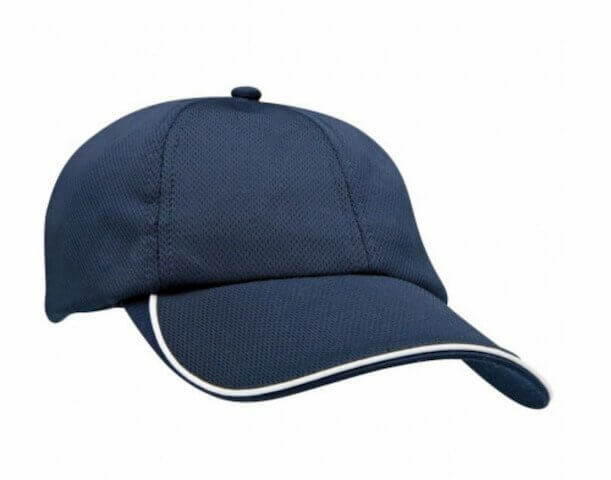 Your design on our cheap Open Sandwich Double Pique Mesh Cap will surely take things a lot further. So when you’re ready with that rockin’ design, send it to us and let us know if you’d like it printed or embroidered. We guarantee fantastic results either way. 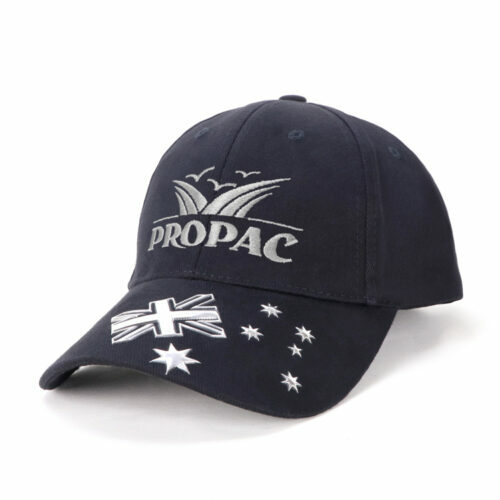 If you want to extend your promotion to the kids, we also have a good range of custom Kids Hats so do check them out. 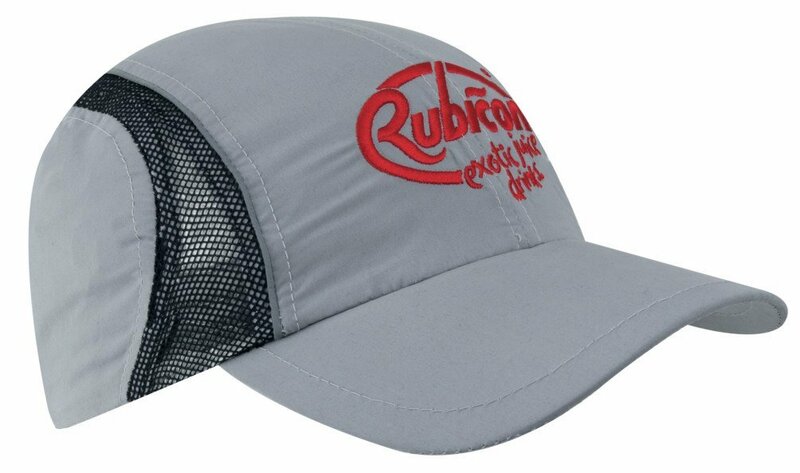 Practical meets versatile with our custom Open Sandwich Double Pique Mesh Cap. 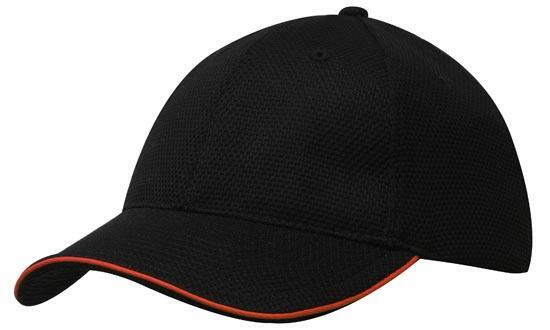 Whether as a gift or a promotional giveaway, this cap is always in style. Boost your brand’s style factor with our Custom Moulded Printed Foil Logo Small Chocolate, and other promotional confectioneries. Need more information? Our customer service representatives are on standby. Just dial 1300 008 300, or hit us up for live chat through our website.